As part of austerity measure, Saudi Arabia on Sunday announced that it was adopting the Gregorian or Western calendar as a basis for paying civil servants. The kingdom had adopted the lunar Islamic calendar when it was founded in 1932. The new development brings the birthplace of Islam in line with many of its energy customers. The Islamic lunar calendar is actually 11 days shorter than the 365-day solar year, which will actually save the kingdom money by cutting salary days for many public servants. It is part of a larger series of cost-cutting measures recently imposed that includes cancelling some bonuses offered to state employees and hiking fees for entry visas for foreign visitors and residents. Millions of Muslims from around the globe visit Saudi Arabia annually as part of the hajj pilgrimage to Islam’s holiest sites. Saudi King Salman has also ordered a 20-percent cut in salaries for civil servants and a 15-percent reduction in financial perks for the kingdom’s advisory Shura council as part of far-reaching economic reforms. 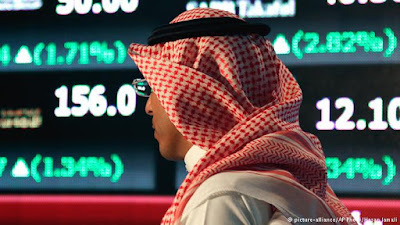 The world’s top oil exporter, Saudi Arabia has seen decreasing revenues since oil prices have been in decline since 2014 as OPEC nations maintain robust output amidst static demand.